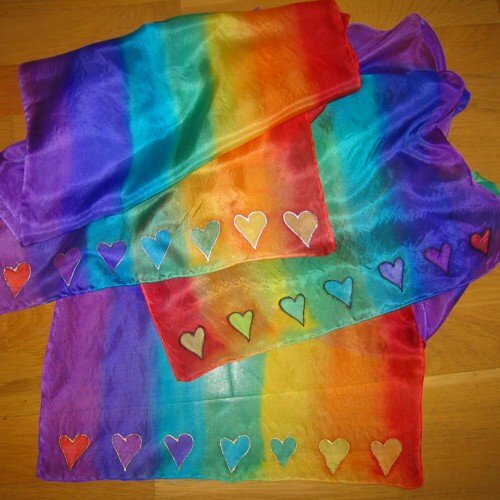 Chakra silk scarf hearts medium. 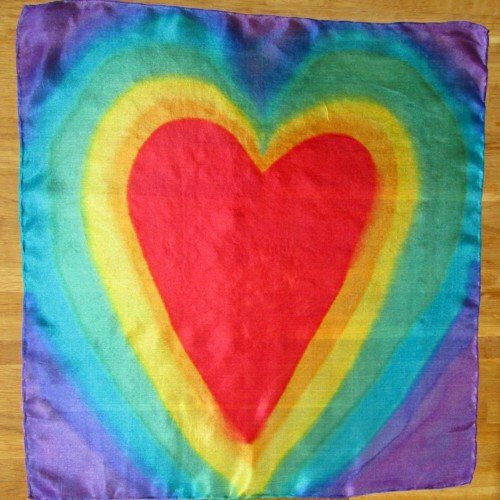 Because I hand paint the hearts in the seven main chakra colours, each scarf corresponds with each of the seven main chakras. While these are not large in size, the colours are vibrant. 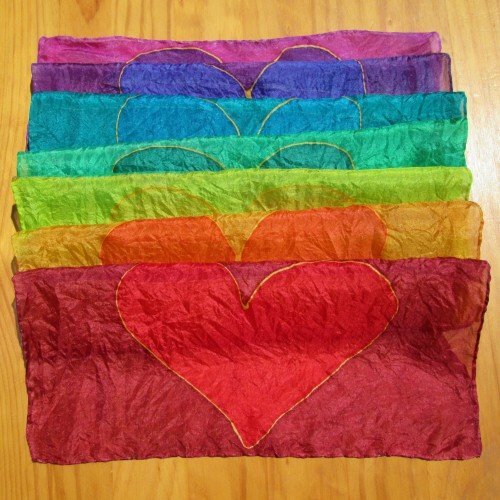 Your “chakra silk scarf hearts medium” measures approximately 45x45cm / 18×18 inches. 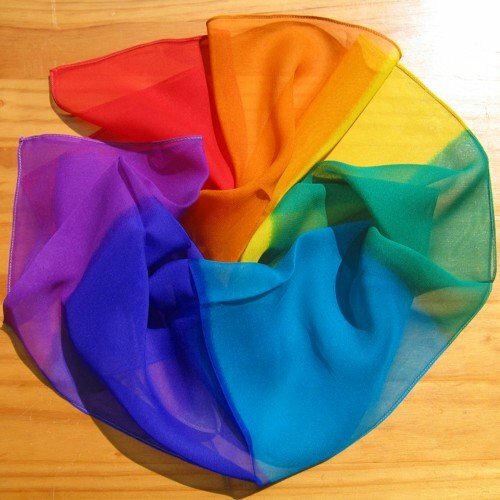 Furthermore, I use a lightweight, fine and slightly shiny pure silk, giving each square a super soft feel. 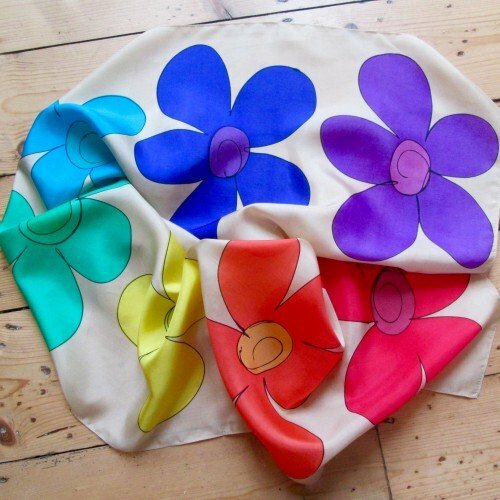 As I hand paint each of these silks, you will therefore have a one off piece of art. For that reason each will vary from the one in the photo. I can’t help but smile while painting these. They make a lovely gift too.